We often take for granted how easy it is to relax in your favorite chair at the end of the day, and how easy it is to get up and down with a problem. However, for many Americans, this is a simple task they can’t enjoy and so they look for a solution that helps ease them into their comfortable chair and then allows them to get back up without a hassle. Power lift chairs are exactly the solution they need, offering a way to help you get up and down from your favorite chair, and they can help with a range of ailments and conditions. Too often people think to use a medical lift chair you need to be seriously injured or disabled, however, they can actually be quite beneficial for all kinds of things. Almost all of us have experienced back pain at some time or another in our lives, and it might come as no surprise that lower back pain is the second most common disability in the United States. Whether it keeps you home from work or keeps you from enjoying time with your kids, all you really want to do when you’re suffering is take the pressure off. A medical lift chair allows you to elevate your legs and recline your back which removes the pressure from your spine, and it can be hugely beneficial for anyone who suffers from back pain. For those with more serious pain, the lifting mechanism of the chair can help from the strain of standing up and allow you to get on your feet without going to too much effort. Some people are naturally unstable on their feet, and for others, this instability comes from a number of medical problems or old age. Patients who suffer from vertigo may find they go through a bad spell as they stand up, and a lift chair is one way to combat this.Something as simple as standing up from a lounge chair can be a terrible feat, and so a lift chair is a perfect solution. These chairs are operated by a remote control that allows them to push you to the standing position while you keep a steady hold of the sides. This means you’ll no longer feel afraid just to get up, and you can be up and down as you wish without having to be standing up on your own. Our legs go through quite a bit in a day, and for many people, they can be the cause of a lot of pain and discomfort. There are a number of medical reasons why someone might need to keep their legs elevated such as poor circulation and blood pressure problems, so it’s essential to keep them comfortably supported and at an ideal angle. 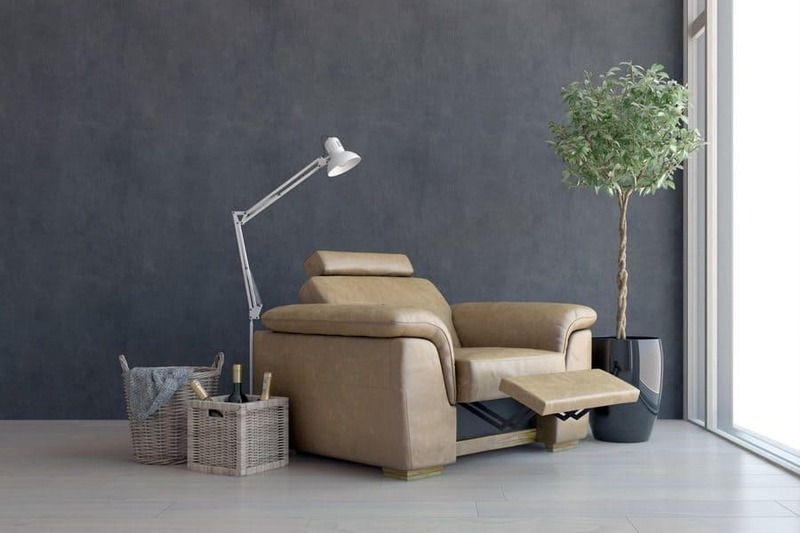 Most lift chairs also come with a reclining function which allows you to use a remote to bring the footrest up so your feet can always be at the best position. This takes pressure off from your spine and also helps to adjust the blood flow so that you’re improving circulation to your legs. Sufferers of leg pain, broken bones, sprained joints, and other ailments will find it easy to get up and down using a medical lift chair as there’s no need for them to do the hard work themselves, so they can relax and work on recovering. 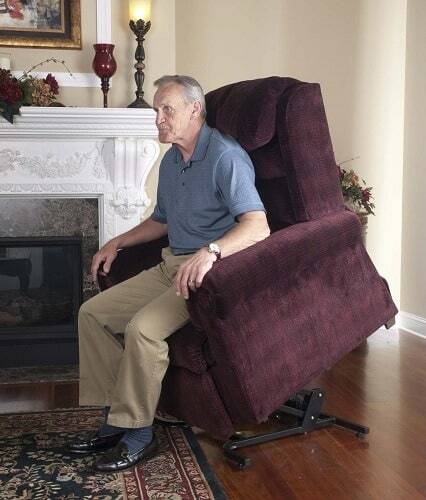 A recliner lift chair is a perfect gift for an elderly loved one, as they offer a dual purpose that they will enjoy. Firstly, these lift chairs are designed with extreme comfort and support in mind, especially when you choose one made from a luxurious material that adds to its comfort. Secondly, they can help with the many ailments that the elderly might have such as sore joints, weakness, and overall fatigue. A quality power lift chair is great for people of all ages, but those in their older years will be particularly appreciative. They won’t need to ask for help from anyone to get up any longer, and because they’re controlled with a remote and take a gradual amount of time to get them standing on their feet, they can do things at their own pace and without assistance. These chairs offer support, comfort, and keep their bodies in the most comfortable position, so they can relax and unwind the right way. 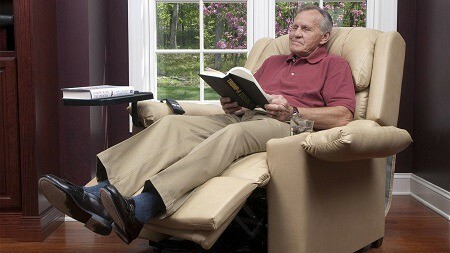 When you’ve just gone through surgery, chairs that lift you up can be a miracle to have in your home. During the time when you’re trying to recover and regain your strength, the usually easy task of standing up and down can be a trying one. Having a quality medical lift chair can somewhere you rest, sleep, eat, and more, as it offers the ideal angle for however you’re feeling. Not only are these lift chairs great for straight after surgery, but they can be used through your recovery stage if you undergo rehabilitation or have been ordered to take it easy. With the ability to maneuver both the backrest and footrest, you can get as comfortable as you need no matter what stage you’re at. 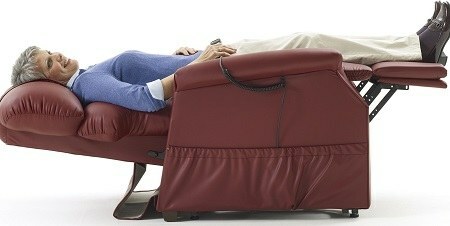 Not only are lift chairs extremely comfortable, but they offer assistance with a range of medical problems too. More often than not, people will suffer in silence with back pain or post-surgery pain, when the solution is a simple fix and more affordable than you might think. With a medical lift chair in your home, you’ll be surprised by how many members of the family can benefit, and not just the elderly or those with physical ailments. These supportive chairs are a practical and comfortable solution for your home and can be helpful now and in the future.